But this is the first time I've laughed at a Garfield-esque comic since I was 8. Not counting Garfield Minus Garfield. 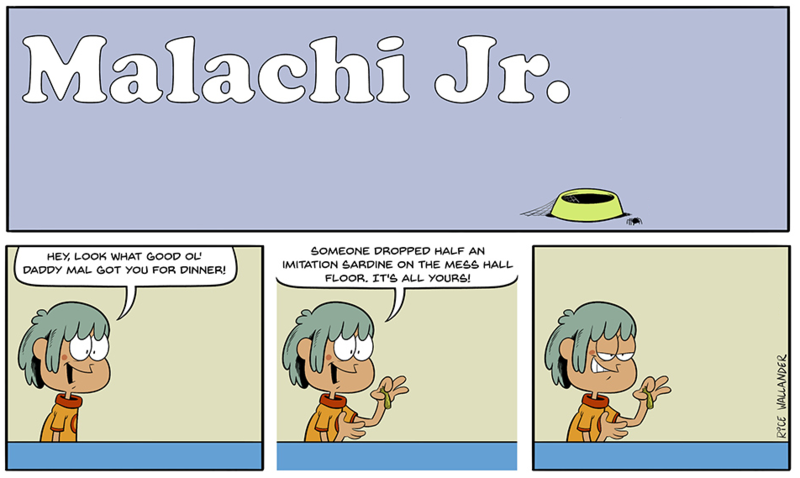 Now do Malachi Jr. without Malachi Jr.
lol, I agree with Crumplepunch, a Malachi Jr. minus Malachi Jr. strip would be awesome, but it could be dangerous. A strip parody inside a strip parody? Would the servers be able to take it or would it damage the internets? Not sure if this is alright but someone suggested a Malachi Jr. without Malachi Jr and I wanted to oblige. Johnachi is either evil, or relishing the sarcasm. Dayum! Killin' it Ricelander! Bonus points for Malachi's self-congratulatory face at the end there. edit: haha, not first by a long shot! Funnies #4 should be inspired by Monty. I'd love to see this characters in Jim Meddick's style. I just love the fact that Malachi named his cat after himself because of course he did.  If you change Malachi Jr. without Malachi Jr so his eyes look at the reader, it changes. hahah, solid work! Now if we could only get someone to give Malachi a sad half eyed look, then we would have a true Malachi Jr without Malachi Jr on our hands! Did Malacai Jr squanch some Kalaxian Crystals? I was so hoping Friday's comic would be a Calvin & Hobbs (preferably a snowman house of horrors!) tribute. But Garfield's cute too. @droopybuns I hope he didn't waste the Klopman Diamond. Wait, is there a cat in this one? Ha ha, what's Malachi Jr. Looking at in the first panel on the left?